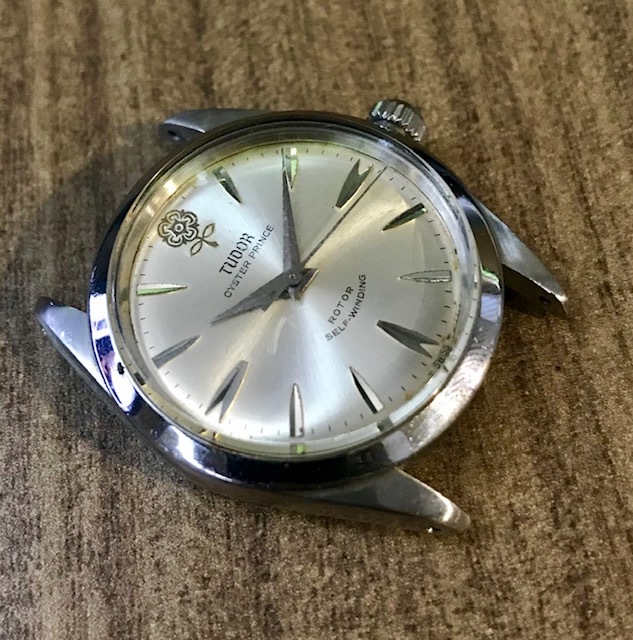 Up for sale is a Tudor 'Big Rose' (Model No. 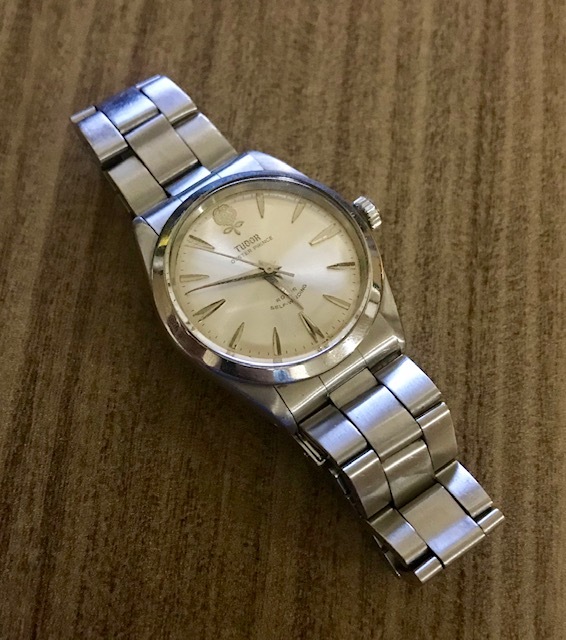 7995, Serial No. 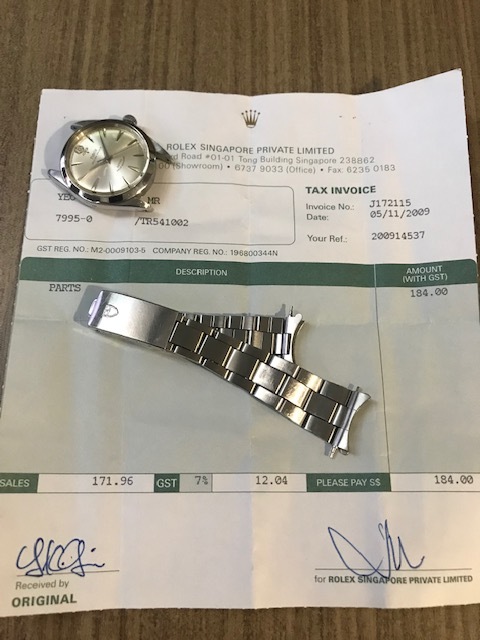 TR541xxx) with Tudor 7835/361B bracelet and RSC receipt (named addressee marked out for privacy). Please note the mark/blemish to the left of the centre of the dial. Watch winds smoothly and runs. Service history is unknown; I have not timed, regulated, or pressure tested it. Please understand that this is a pre-owned watch and I make no representation or guarantee for waterproofness or time accuracy.